Once upon a time, technology supported business - now business and technology are complementary - interconnected and interdependent. B/T is a portfolio of business/technology solutions offered by TechKnowPartners, LLC that enable business strategy through technology. These solutions include methodologies, models, and systems. We provide business and technology consulting services to entrepreneurs and lifestyle business owners on a stand alone basis. We also include some basic consulting with our standard business models with our Progreserve package solution. In effect, TechKnowPartners provides turnkey solutions to businesses that bundle professional services with hardware and software solutions. TechKnowPartners has licensed material from The Business Leadership Development Corporation (BLD) that addresses two concepts: individualpreneurship and enterpriship, which are of value to entrepreneurs and business owners. Collectively, we call these concepts I/E. A discipline, mindset, and activity whereby an individual (the "individualpreneur") behaves as an enterprise in their own right, and is fully responsible for both professional and personal income generation and expense management. 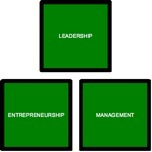 The process of building enterprises with sustainable advantage, and has a framework of three-related disciplines: entrepreneurship, leadership, and management - "Enterpriship" is derived from four words: management, leadership, enterprise, entrepreneurship.